Samsung just outed the rumored Galaxy S4 Zoom cameraphone, and it is every bit as resemblant to the Galaxy Camera concept as on the leaked pictures before. The mian differences are that it is more compact, achieved by limiting the zoom level to 10x instead of the 21x on Samsung's Android camera, and it has voice calling functions, not only data connectivity. At the front it resembles a Galaxy S4 Mini, with the same 4.3" 540x960 pixels Super AMOLED display, but is powered by a 1.5 GHz dual-core Exynos 4212 processor, aided by 1.5 GB of RAM, 8 GB of internal storage plus a microSD slot for expansion, and, of course, that sweet 16 MP camera with 10x optical zoom on the back and optical image stabilization. Android 4.2 is running the show, and the phone packs a 2330 mAh battery to power it all up. The body is officially 15.4mm thick, yet in the camera lens part, which has a zoom ring, that goes to 25mm, and the typical grip bulge is here as well, so it is more of a compact camera with phone functions than anything else. Still, it is the first phone with 10x optical zoom, Xenon flash and all the bells and whistles of manual control over your photos and videos, like aperture, exposure and white balance settings, as well as no less than 26 preset shooting modes, including exotics like Baby, Golf and Smart Suggest, where the camera app tells you which shooting modes are suitable for the current scene. When you return from your travel adventures, Story Album lets you arrange all of your treasured images and videos into one timeline to share with friends and loved ones. You can also edit images and even order prints directly from the device through a partnership withblurb＊. If you'd rather transfer your images to your laptop or tablet for safe keeping, Samsung Link lets you do so quickly and easily with just the touch of a button. Alternatively, you can sync all of your data in your own personal cloud through HomeSync, providing the ultimate peace of mind and ensuring your images and videos are waiting for you whenever you need them. As much as I like the zoom thing for camera phones, but this device is so FREAKING UGLY! Samsung duct taped a Galaxy S4 mini with a Galaxy Camera, and i would like to see a drop test for this. Yes, it wont be durable. Add in otterbox case it will be a true BRICK compared to any Nokia phones out there. Lumia EOS will eat this for breakfast, lunch and dinner. Other than the optical zoom it has no other advantages to me. I will NOT bee seen with this thing on my face!! 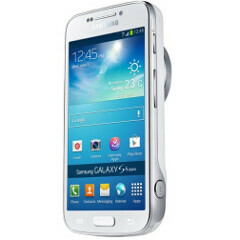 Samesung on steriods named Galaxy,every week we have a new smartphone. And when this device will receive the like iOS7 UI? But Android do not look like WP8, so iOS7 look like Android or WP8? Samsung R.I.P!? Because they make camera with smartphone stuff? You are so funny! Did you just say Samsung R.I.P? Yep. True. After all, Lumia EOS, EOS stands for End Of Samsung. Actually the optical zoom allows for further zoom, but when you take a photo without zooming then nothing (other then OIS) can help to improve the sharpness of the photo, and reduce noise. So i still prefer the oversampling tech. Lol...i thought it was a real comparison!! Optical zoom is lossless in daylight and will be better than eos. This camera will be better than in daylight than eos, just like all lumias vs for example SGS4 (SGS4 crushes lumia in daylight). But maybe eos will be better in night. This will be fight to be seen. does this so called SGS4 take better pics than a pureview 808? If not what makes you think S4 zoom will be better against Lumia EOS? EOS will probably be better in daylight and night..
not true, the EOS wont be able to zoom in to the extent of the 10x optical zoom but thanks to oversamspling you can crop pictures with the loss of quality. plus the 808 beat the galaxy camera in quality in daylight so expect the same from the EOS s4 doesnt crush the range of lumia's in daylight either, there pretty comparable and on par depending on the situation. LOL Nokia fans. They are hilarious. The GS4 camera is the best camera right now in all the comparisons. 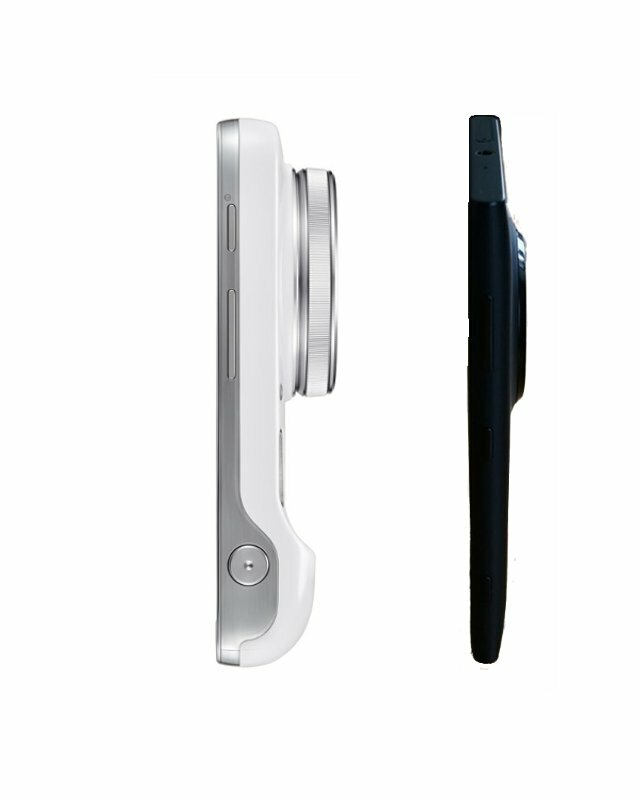 The iphone 5 already beat the pants off of the Lumia 920 in daylight. you just went too a new extreme of idiocy ''The GS4 camera is the best camera right now in all the comparisons'' you forgetting the 808, even the n8 would keep up and thats years old. speaking of the iphone, you failed to mention the users of P.A voted the iphone 5's pics were better then the s4's........why leave that out? Well, if I included the extreme outliers like the 808 and n8, I would have to include monstrosities like this GS4 zoom which could very well end up taking the best pictures since it is basically a camera disguised as a phone. If you compare real phones, then yes the GS4 is the best so far. Nokia fans are stupid and hilarious or maybe just stupid. Every single comparison between these two device came to the same conclusion. Heck, even the GSIII was a better all rounder. It's an abomination . . .
lumia eos will make this look like a piece of garbage! one word: R U kiding me. this phone will around 600$ or 700$, then better to buy Nikon or Canon DSLR camera, take a photo then copy to our smartphone then post it on social network. or buy all in one EOS. let me guess....hmm I think eos win right.